Q1.How Can I register myself at www.hotelcareers.in? Answer. You should visit http://hotelcareers.in/job-seeker1 Fill up the form online when visiting for the first time and if the registration is accepted then you can get your login details on the email id that you would have used. Later on use this login details to access your account. Q2 How should I post my Resume? Answer. After you have logged in click on "My Resume" and fill up the details online. You may also like to upload your photograph alongwith.Later you can "edit" your Resume or 'View' it online. Q3. What are the charges for Resume Posting or further Placement? Amswer. www.hotelcareers.indoes not charge anything for posting resumes online. http://www.hotelcareers.in is also not a placement agency thus no placement charges are assessed. Q4.How does www.hotelcareers.indiffer from other Job Sites ? Answer. www.hotelcareers.in is in the process of establishing itself in the areas of Hotels,Airlines & BPO Jobs online data services. Extensive promotion of www.hotelcareers.inis being planned on major search engines like Google,MSN,Yahoo etc. Q5. 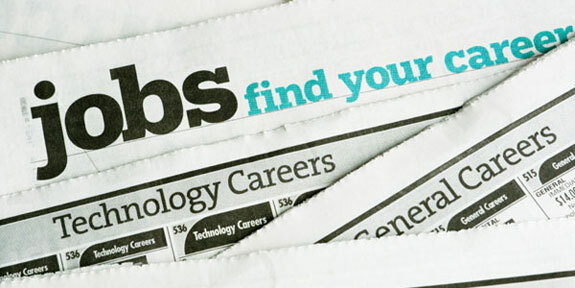 How may I increase my chances of Job offers at www.hotelcareers.in? Answer. You should update your Resume from time to time. Also upload your photograph for better results. If you want faster results / job offers then you may consider our fast track 'Resume Forwarding Service'. Q6. How may I apply for jobs on www.hotelcareers.in? Answer. You are advised to follow the steps as detailed in answer 1 & 2. Q7. How many Jobs may I apply on www.hotelcareers.in? Answer. You are encouraged to apply to as many jobs online as you feel relevant to your specific needs. Use the Resume that you saved on http://www.hotelcareers.in . Q8. Do you have any other services available on www.hotelcareers.in? Answer. In case you want faster results in terms of job offers then you can use our" Resume Forwarding" service. At a cost of Rs. 2000 per resume per occasion we can forward your resume to more than 1500 hotels in India. The job offers if any will be forwarded to the email address that you will specify. However this is only a forwarding service and results may depend on many factors that assess your compatibility to employer's requirements. You should go in for this service only if you have no reservations as to which hotels your resume may reach. http://www.hotelcareers.in does not screen your resume or the destination email 'ids' of the employers that your Resume may reach. Q9. Is it my resume visible to all employers? Answer. Your Resume is available and accessible to all / any employer searches.You should register only if you have no reservations or confidentiality requirements as to which employers may or may not access your resume, online. http://www.hotelcareers.in cannot prevent any employer from viewing your resume online. Q10.How accurate is the information displayed on www.hotelcareers.in? Answer. http://www.hotelcareers.in does not prescreen any posted content or verify its accuracy. You are advised to take appropriate precautions and make direct enquiries about the job listings or the contents yourself. Q11.How will the employers contact me after I have applied? Answer. The Employer/s may contact you by email or directly as per the contact details provided by you in the resume. Q12. How do I know the names of the organization to which I am applying? Answer. Not all Companies may provide this information openly.You should apply only if you have no reservations for applying to any employer. Q13.Who can view my resume? Answer. All employers who have registered with http://www.hotelcareers.inmay view any resume or search for the same.